Add An Occasion Label - Free! Get two sets of little feet flyin' with a personalized Radio Flyer classic walker wagon! 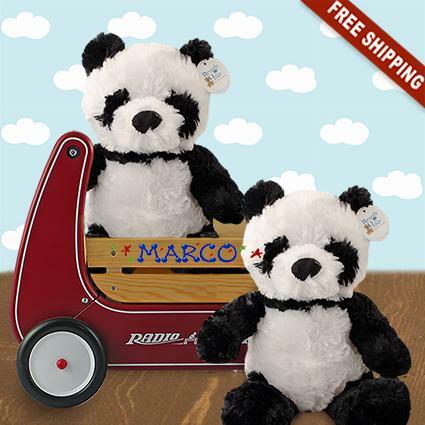 When ordering, please put the first name of each twin in the section marked "Special Instructions", so it can be personalized. Using just the first name of each child will look better than including each child's middle name. Be sure to spell the names carefully, as personalized orders cannot be cancelled, returned or exchanged.